What kind of person does it take to convince the Scots that there might be a whisky other than Scotch worthy of their time proven tastebuds? And that this whisky might come from a former colony known more for spirituality than fine spirits? A man with no prior proven record in the whisky or even liquor business. One willing to clock 300,000 solo miles on the road in the UK, wearing out two cars, a Vauxhall Astra, a Ford Mondeo and nearly a third, a Mercedes-Benz in order to convince this whisky nation that there is a place for world whiskies when nary a market existed anywhere. 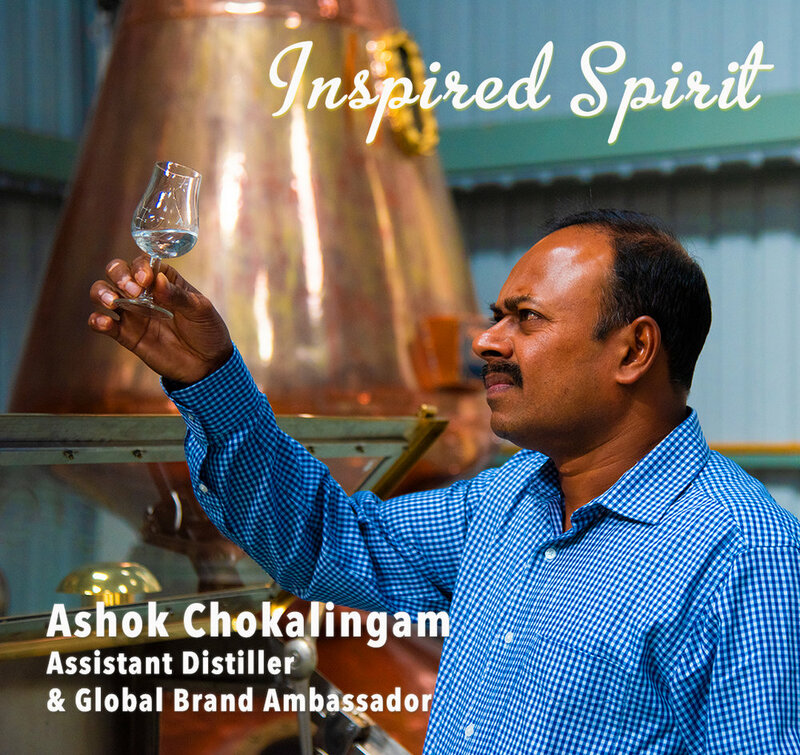 That man is Ashok Chokalingam and in 2012 and again in 2016 he was recognized for his perseverance and contributions to the world of Whisky by industry peers as the Icons of Whisky - World Whisky Ambassador - Whisky Magazine, UK. Launched in the USA in 2010, Amrut Indian Single Malt Whisky has firmly captured the hearts of American single malt whisky aficionados. Widely available across America at both fine spirit specialty stores, as well as large format retail stores such as Total Wine & More and even Costco. Ashok is a well known and widely respected personality in the global whisky industry. Ashok was awarded the ‘Icons of Whisky’, Whisky Ambassador of the Year in 2012 and 2016 by Whisky Magazine, U.K.